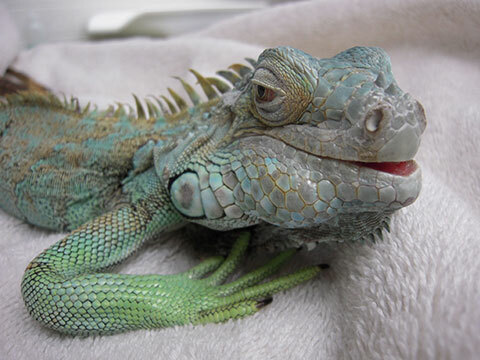 Also called fibrous osteodystrophy, osteomalacia, secondary nutritional hyperparathyroidism, osteoporosis, or rickets, Metabolic Bone Disease is perhaps the most commonly seen nutritional problem in reptiles. MBD is the result of a calcium/phosphorous imbalance in the body which causes a weakening of the skeletal structure as well as the carapace and plastron of turtles and tortoises. In more advance cases this can lead to repeated tremors, severe weakness, and bone fractures. MBD develops as a result of an improper balance of calcium and phosphorous. Calcium is a vital biochemical messenger used in many metabolic pathways and nerve transmission, which means any level of calcium deficiency is a serious problem that in addition to MBD, can cause weakened muscle contraction (especially in the heart) and a decreased ability to form blood clots. If calcium levels drop too low, cardiac failure may occur. When the level of phosphorous becomes too high relative to calcium, it favors the formation of calcium phosphate in the gut, which is minimally absorbed as it is an insoluble salt. Thus, a calcium deficiency may actually be the result high phosphorous rather than low calcium. The generally accepted normal range for the calcium to phosphorous ration is 1.5:1 to 2:1, with the 2:1 end being more ideal. If the ratio drops much below this, phosphate ions can be absorbed, resulting in hyperphosphataemia, which stimulates the parathyroid glands to secrete parathyroid hormone (PTH), and signals to the body that it needs to obtain calcium from any available supply, namely bone. As calcium is leeched out of the bones, they become very soft and weak. As this progresses, the body tries to retain the integrity of the skeletal support and strengthen the bone by partially replacing the lost calcium with fibrocollagenous connective tissue. This can cause palpable and even visible bumps on the bone, particularly the vertebrae along the back and the base of the tail as well as the long bones of the legs. What can cause a calcium/phosphorous imbalance? An improper calcium to phosphorous ratio can have a variety of causes, but most are related to poor husbandry. This can be as simple as not enough calcium or too much phosphorous in the diet, but there are several more complicated causes. Other dietary causes may include too much fat which decreases the solubility (and thus absorption) of calcium or substances in the diet which inhibit calcium absorption. Oxalates, for example, bind to calcium and both are removed in the digestive tract. Another common cause of low calcium levels is a lack of vitamin D. Vitamin D is essential to calcium metabolism. It enables calcium absorption across the membranes of the duodenum, from which point it can be transported throughout the body. Vitamin D deficiency is generally NOT a dietary problem. 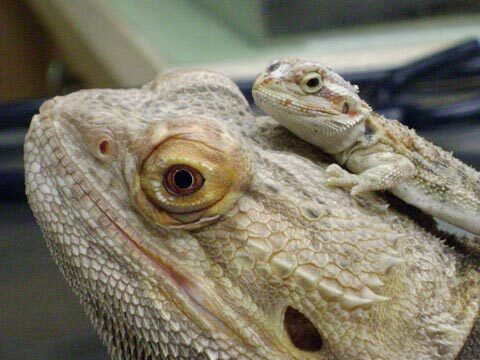 While reptiles may obtain a slight amount of Vitamin D from food, most do not absorb it well. Instead, reptiles have unique metabolic pathways by which they manufacture the vast majority of what they need. Functioning of these pathways, however, requires regular exposure to both UVA and UVB light. This is why improper or insufficient lighting is often implicated as a cause of MBD. Another common husbandry problem which can contribute to low calcium levels is a poor or nonexistent heat source. Cold temperatures can slow and impair digestion, which diminishes calcium absorption. Less commonly, some medical conditions can distort the calcium/phosphorous ratio. For example, kidney and liver disease impair the ability to activate Vitamin D. Small intestinal disease disrupts normal digestive processes and by extension, calcium absorption. Disease of the thyroid or parathyroid glands effects the production of hormones (like PTH) that regulate calcium absorption. How do we diagnose MBD? Early symptoms of MBD include bowed or swollen legs, arched spine, bumps along the bones of the legs, spine and tail, bilateral softening of the jaw (commonly referred to as rubber jaw), and softening of the carapace and plastron in turtles and tortoises. Patients with severe MBD may present with a jerky gait when walking, repeated tremors and twitches in the legs and toes while at rest, general weakness and lack of strength to grip and climb, lethargy, constipation, anorexia, and easily fractured bones. The most extreme cases may experience seizures or partial paralysis. A diagnosis of MBD is generally based primarily on symptoms and discussion of husbandry, but can be confirmed by x-rays and bloodwork. Radiographs of a reptile with MBD will demonstrate bones abnormally large in diameter with irregular shape. Medullary cavities (the region of the bone containing bone marrow) appear normal, but the surrounding cortical bone (the hard outer shell) appears significantly expanded with greatly diminished density. Blood testing can be used to measure calcium and phosphorous levels and determine the calcium to phosphorous ratio. Low blood calcium and elevated blood phosphorous levels are indicative of MBD, especially if the calcium to phosphorous ratio is inverted. It should be noted however that a hypocalcemic adult may show calcium levels in the normal range unless blood is drawn immediately after a twitching episode. In addition, juveniles with MBD are significantly more likely to show both calcium and phosphorous levels within normal limits. Therefore bloodwork should be used only to confirm a diagnosis of MBD, not to rule it out. The most important treatment for most cases of MBD (with the exception of those cases secondary to a pre-existing medical condition) is proper husbandry. This includes a diet which combines nutrient dense fresh fruits and vegetables with protein sources like crickets and mealworms to ensure properly balanced nutrition. Calcium supplements may also be recommended. These are readily available in powdered form and can be routinely coated onto insects or sprinkled on top of fruits and vegetables. Enclosure temperatures should also be corrected. Exact temperature ranges vary by species, but it is important that reptiles have access to warm basking areas and cooler shaded areas, as well as day and night temperature gradients. Furthermore, it is essential that reptiles have daily exposure to UVA and UVB light as well as day and night light cycles. The times of these cycles again vary by species. Both temperature and light cycles should be based on the native environment of the species. More severe cases of MBD may require a short term prescription of oral doses of calicium glubionate or injections of calcium gluconate. Once blood calcium levels are sufficient, calcitonin may be administered to accelerate calcium deposition on the bone. Without treatment, patients with MBD rarely survive. 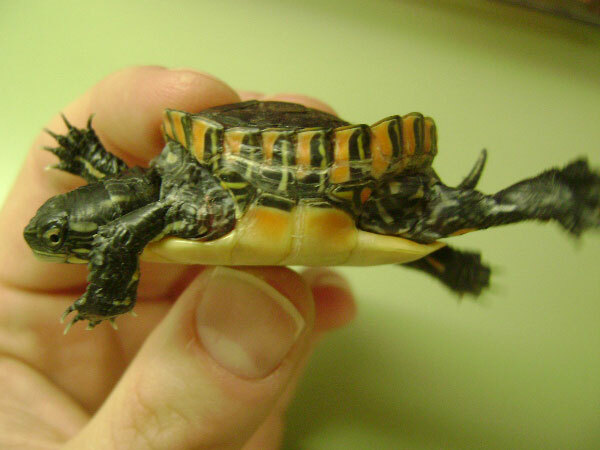 If treatment is given in a timely manner and the apporpriate husbandry changes are made and maintained, the prognosis for patients with mild MBD is very good .Reptiles affected generally respond well to treatment, and a large proportion of patients see a reversal of many of the less severe symptoms and are able to make a solid recovery. For more extreme cases, complete reversal of symptoms is unlikely, but recovery may still be possible with veterinary intervention.